Following on from my last blog "crunches are pants" I wanted to share with you my favourite FAT burning exercises. I will be blogging a different exercise every couple of days and my exercise today is BURPEES. Burpees are a fantastic compound exercise that works multiple muscle groups and will leave you burning FAT for up to 48 hours. Begin in a standing position. Your feet should be shoulder-width apart. Now, lower your body into a squatting position, placing your hands on the floor in front of you. 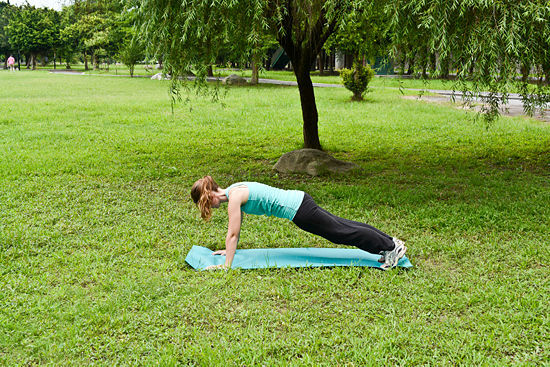 Kick your feet back so that you are in push-up position. Keep your hands firmly on the ground to support your body. Kick your feet back to their original position. Stand up, and then jump into the air while raising your arms overhead. Burpees are tough, especially if you have never done them before. My advice to beginners would be to start off by doing 3 sets of 15 to 20 reps at a low intensity and each week gradually increasing the amount and the time you work for. That's all from me for now, got a session in an hour where I'll be helping my clients burn a bucket load of fat.